The Sacramento area tap house scene continues to get more crowded. 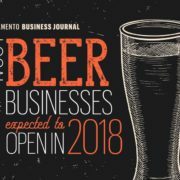 Sorich says two new beer places have opened: Sac City Brews in Tahoe Park and Sac Yard Community Tap House in East Sacramento. Listen to the full Capital Public Radio Segment here. Martina is out in East Sacramento checking out SacYard Community Tap House. Sac Yard will be in a “soft opening” period until the weekend of February 9. There will be a number of grand opening events that weekend including a ribbon cutting on Saturday, February 10. 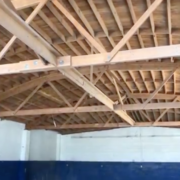 Last year, we told you about SacYard Community Tap House, a new business planned at 1725 33rd St. in East Sacramento. The business starts its soft opening today, beginning at 3 p.m. Dan and Melody Thebeau are the primary owners of Sac Yard, which is on the site of a former automotive garage. 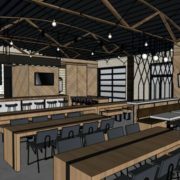 It will offer 24 rotating beers, and is expected to feature food trucks, as well as some food offerings from local grocers and delis.